Wenzhou Fangzhou Crafts Co., Ltd. Chose a smooth, clean and dry surface 2). Will do 50 or more new deisgns every month 5). Q4. Whether can offer Pictures without watermark9 A. Yes. 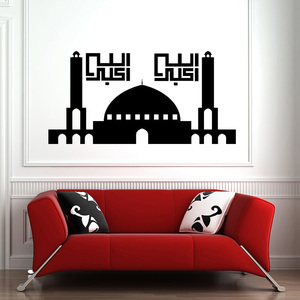 Non-toxic muslim home decor wall art arabic islamic wall stickers Material: White vinyl, Transparent vinyl, PET Thickness: 0.08mm-0.12mm regularly, other thickness can be customized Color: Any colors available Printing: UV printing, silk-screen or digital printing Certification: ISO09001/ISO14001/OHSAS18001 /EN71/REACH Wall sticker,also known as a wall sticker,wall tattoo,or wall vinyl,is a vinyl sticker that is affixed to a wall or other smooth surface for decoration and informational purposed. Wall decals are cut with vinyl cutting machines. 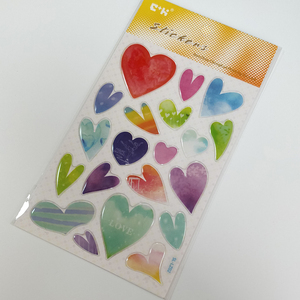 Most decals use only one color,but some may have various images printed upon them. Our vivid, full color banners, coupled with our design and ad consulting services, make an ideal choice for your advertising needs. In additon,we can produce the sample with the custom design artwork printing if you pay the sample fee . Q4:Could you help with the design 9 A : Yes, our professional designers to help with simple information such as logo and some images. Removable Islamic Chalkboard Wall Art Stickers Item Name Chalkboard Sticker Material Black vinyl with adhesive backing, it is removable and repositionable Size 30*45cm or as you request Thickness 0.10 mm Color Black Packing One pc in one polybag with headcard Feature 1) Writing with chalk, used as a message board for the busy family or in a play room. 2) High quality, competitive price 3) Suitable for decorating walls, windows, bedrooms, kitchen, tile& more; Easy to use and write, it can be wiped with cloth conveniently. 4) Safe and non-toxic, can be certified with no damage to the body or mind Design Various shape, design and size are available. 2. One-step service without any outsourcing We definitely produce all goods by ourselves, and banned for allowing any outsourcing production from other factories. 4. After Sales Services provided Besides, after sales service is necessary for more understanding of your needs. 9. Excellent and reliable banking services Also, our company bank account is registered in HK. We have professional design team, independent operation technical personnel, quality inspection team and serious workers what we are based on to give best products . 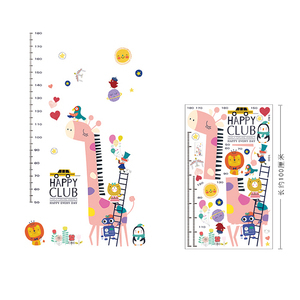 the best products in including the acrylic stickers, mobile stickers, bubble stickers, PVC stickers, Eva wall stickers, tattoo stickers ,nail sticker,rubber sticker and so on . We adhere to the principle of reciprocity , enjoy good reputation in our customers, because we provide perfect service, high quality products and competitive price. 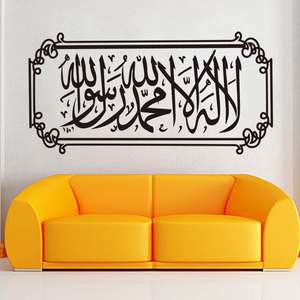 Taizhou Yeeto Decorative Material Co., Ltd.
Alibaba.com offers 1,461 islamic wall stickers products. About 77% of these are stickers, 13% are wallpapers/wall coating, and 1% are other home decor. 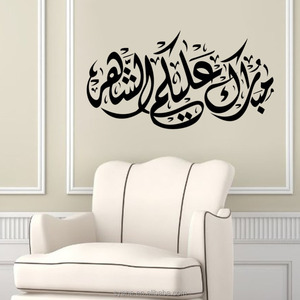 A wide variety of islamic wall stickers options are available to you, such as pvc sticker, vinyl sticker, and acrylic stickers. 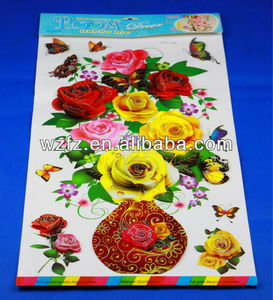 You can also choose from decorative sticker, wall sticker. As well as from free samples. 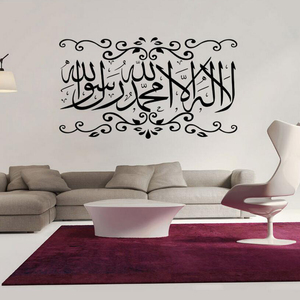 There are 1,461 islamic wall stickers suppliers, mainly located in Asia. 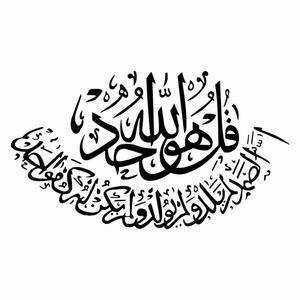 The top supplying countries are China (Mainland), Malaysia, and Turkey, which supply 98%, 1%, and 1% of islamic wall stickers respectively. 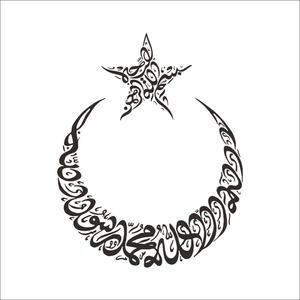 Islamic wall stickers products are most popular in North America, Eastern Europe, and Mid East. You can ensure product safety by selecting from certified suppliers, including 144 with Other, 133 with ISO9001, and 24 with ISO14001 certification.